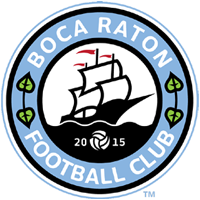 Boca Raton FC will face Miami Unted in the first round of the US Open Cup at Ted Hendricks Stadium in Hialeah. Kickoff is scheduled for 7 pm ET. The winner of the First Round match will face the Jacksonville Armada FC of NASL who is undefeated in league play this season. The potential Second Round match will take place on May 17th at Jacksonville University. Boca Raton FC will compete in NPSL, APSL and the Lamar Hunt US Open Cup during 2017. Boca Raton FC will open its home NPSL Sunshine Conference slate on May 12 against Kraze United at the “Shipyard” Atlantic High School. This year’s winning team will receive $250,000, a berth in the 2019 CONCACAF Champions’ League and have its name engraved on the historic Dewar Challenge Trophy, one of the oldest nationally contested trophies in American team sports. The runner-up will earn $60,000, while the team that advances the furthest from each lower division will take home a $15,000 cash prize. FC Dallas is the defending U.S. Open Cup champion, having earned the club’s second tournament title thanks to a 4-2 victory against the New England Revolution on Sept. 13, 2016, at a sold-out Toyota Stadium in Frisco, Texas. Premier Development League (21 teams): Division Winners: Charlotte Eagles* (N.C.), Des Moines Menace* (Iowa), FC Tucson* (Ariz.), Fresno Fuego (Calif.), GPS Portland Phoenix* (Maine), Michigan Bucks*, OKC Energy U23 (Okla.), Reading United AC* (Pa.), The Villages SC* (Fla.); At-Large Berths: Burlingame Dragons* (Calif.), Carolina Dynamo (N.C.), Chicago FC United (formerly Chicago Fire U-23), Derby City Rovers (Ky.), FC Golden State Force (Calif.), Ocean City Nor’easters (N.J.), San Diego Zest (Calif.), SC United Bantams (S.C.), Sounders FC U-23* (Wash.), South Florida Surf, Ventura County Fusion* (Calif.), Western Mass Pioneers. The PDL is a nationwide league affiliated with the U.S. Adult Soccer Association and opted to use 2016 league results to determine its qualifiers for the 2017 Open Cup. National Premier Soccer League (18 teams): Qualified via 2016 NPSL playoffs: AFC Cleveland* (Ohio), Albion SC Pros (Calif.), Chattanooga FC* (Tenn.), Clarkstown SC Eagles* (N.Y.), Grand Rapids FC (Mich.), Miami United FC (Fla.), New Jersey Copa FC (N.J.), Sonoma County Sol (Calif.); At-Large Berths: AFC Ann Arbor (Mich.), Atlanta Silverbacks*, Boston City FC (Mass. ), Dutch Lions FC (Texas), FC Wichita* (Kan.), Fredericksburg FC* (Va.), Jacksonville Armada U-23 (Fla.), Legacy 76 (Va.), OSA FC (Wash.) Tulsa Athletic (Okla). The NPSL is a nationwide league affiliated with the U.S. Adult Soccer Association and opted to use 2016 league results to determine its qualifiers for the 2017 Open Cup.